The Washoe County Sheriff’s Office intensifies our efforts to keep vehicles and valuables safe at County parks and trailheads during the summer. Data from previous years shows a definite increase in vehicle burglaries at parks and trailheads during the busy summer months. In order to reduce those burglaries, the Sheriff’s Office encourages you to Take ConTRoL! We are a high recreation area. People love to head outdoor during the summer months, spending time on the river, on the trails or in our parks. Our goal is to create an environment where residents can enjoy that time without fear of becoming a victim of crime. Sheriff investigators identified a total of 54 vehicle burglaries directly related to County parks and trailheads during the summers of 2011, 2012 and 2013. In order to reduce those numbers during the summer, the Sheriff’s Office developed a strategy that incorporates increased patrols at those parks and trailheads along with public outreach. Vehicle burglaries are crimes of opportunity. Our strategy is to work in partnership with the public to reduce those opportunities – and therefore reduce the crime. 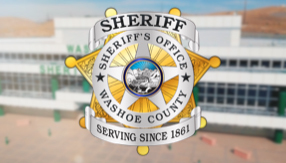 Anyone who see suspicous activity in any County park or trailhead is encouraged to contact the Washoe County Sheriff's Office immediately at (775) 785-WCSO (9276).